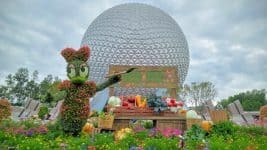 Thanksgiving is just about a week away, and while there are many Walt Disney World restaurants serving up special lunch and dinner menus for the holiday, there is one restaurant where you can enjoy a Thanksgiving meal all year round: Liberty Tree Tavern in Magic Kingdom. 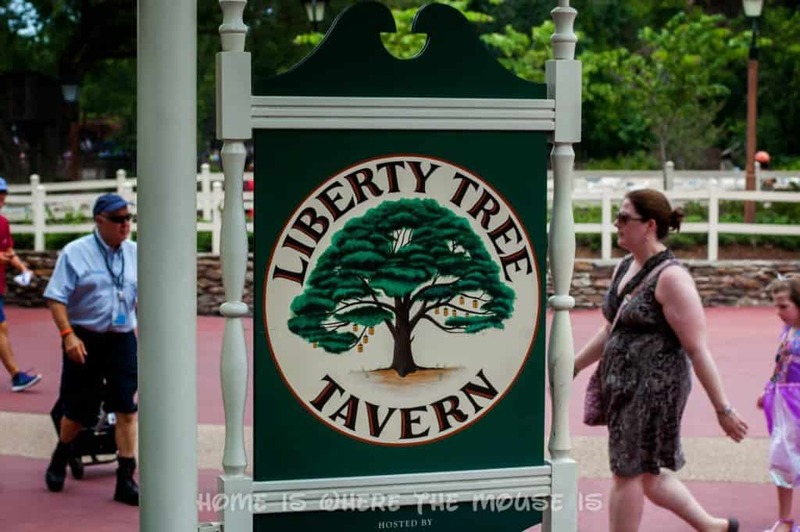 Liberty Tree Tavern is located in the heart of Liberty Square right next to the Liberty Tree. There’s plenty of Liberty to go around. This land which recreates Colonial America is almost the perfect setting for a Thanksgiving meal. Liberty Square teleports you back to a time not too far removed from the very first Thanksgiving, and serves as a reminder of the men and women who fought for our nation’s independence, which is something we should all be thankful for. 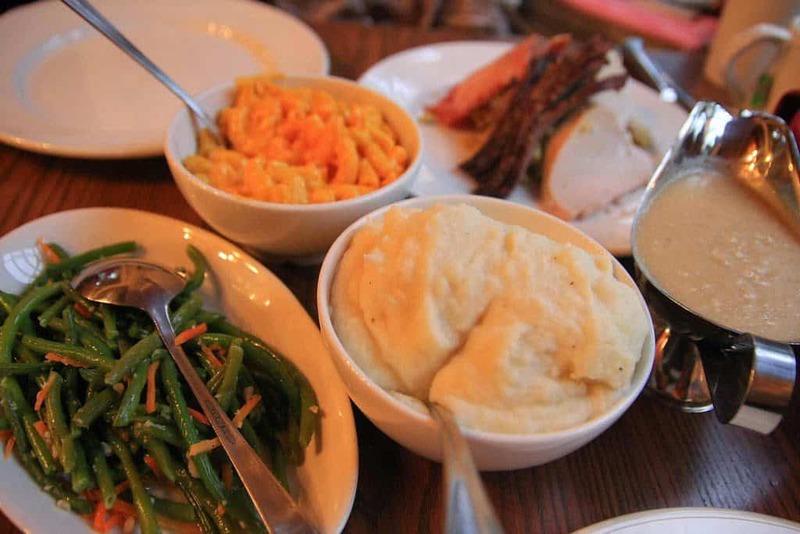 Thanksgiving Dinner is served every evening at Liberty Tree Tavern. A “Declaration Salad” and a “Patriot’s Platter”, consisting of Turkey, Beef, Pork, Mashed Potatoes, Veggies, Herb Bread Stuffing, and Macaroni and Cheese are served family style. 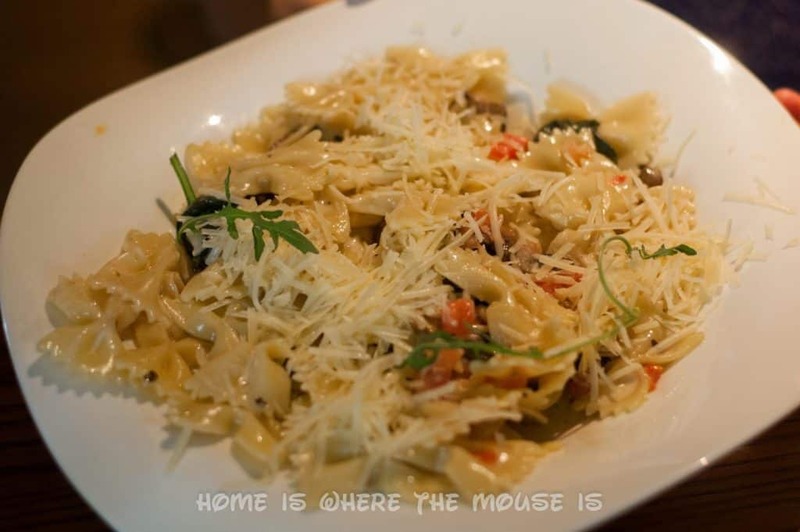 It’s an all-you-can-eat feast, which will leave you as stuffed as any Thanksgiving Turkey. 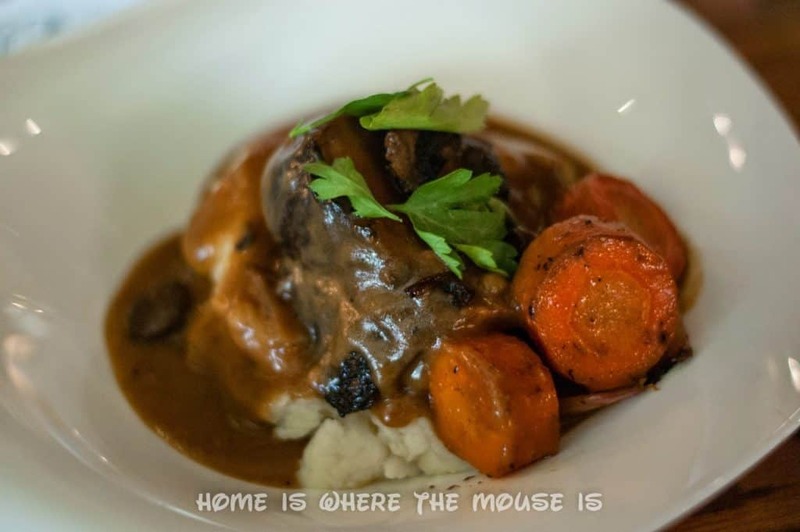 The lunch menu’s a la carte offerings also feature some nods to Thanksgiving. The “Pilgrim’s Feast” features Turkey, Stuffing, Mashed Potatoes, and Veggies. For the kids, they offer a Mickey Check meal with Turkey, Mashed Potatoes, Veggies, and seasonal fruit. 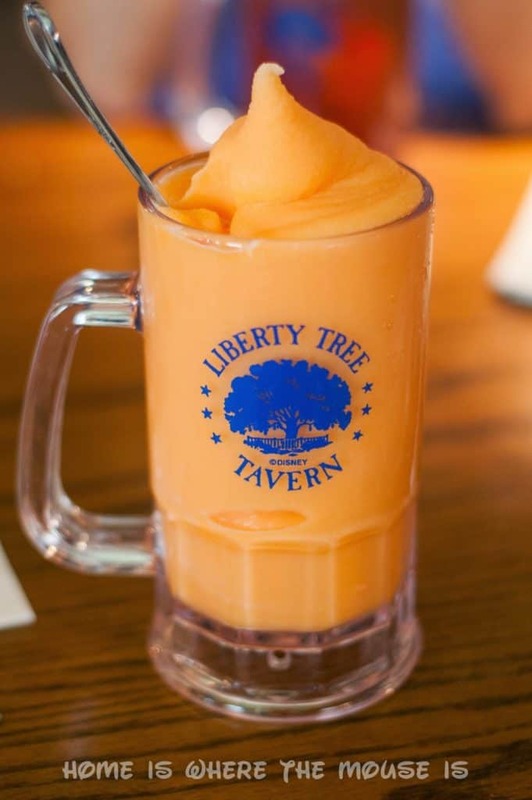 This past summer, we had lunch reservations at Liberty Tree Tavern. 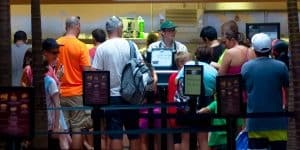 The lobby has to be one of, if not the best waiting rooms of any Walt Disney World restaurant. The spacious area was a welcome respite from the heat and humidity. A complimentary ice water station was set up to help guests cool off. For the kids, there were crayons and coloring sheets available to help pass the wait. 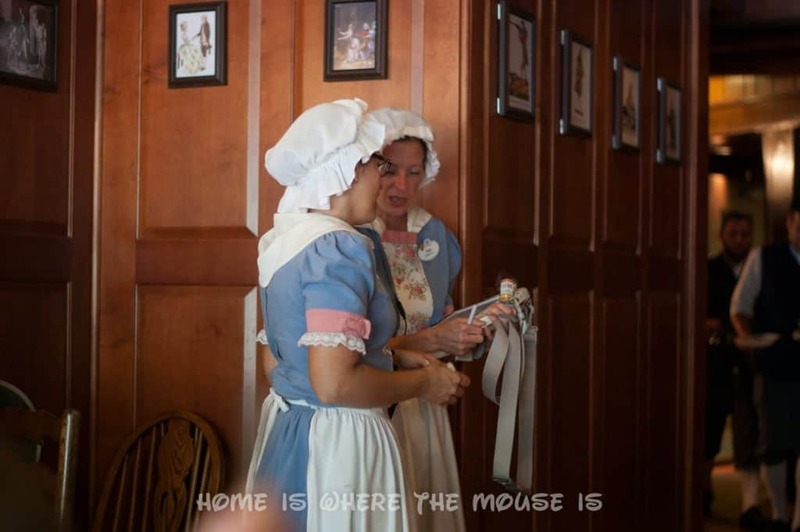 Cast Members wear Colonial attire. 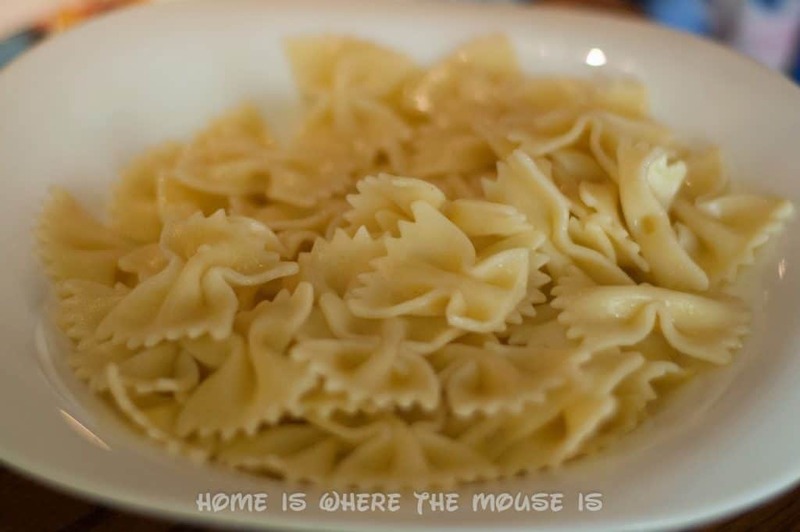 I can remember when this restaurant used to offer character dining. 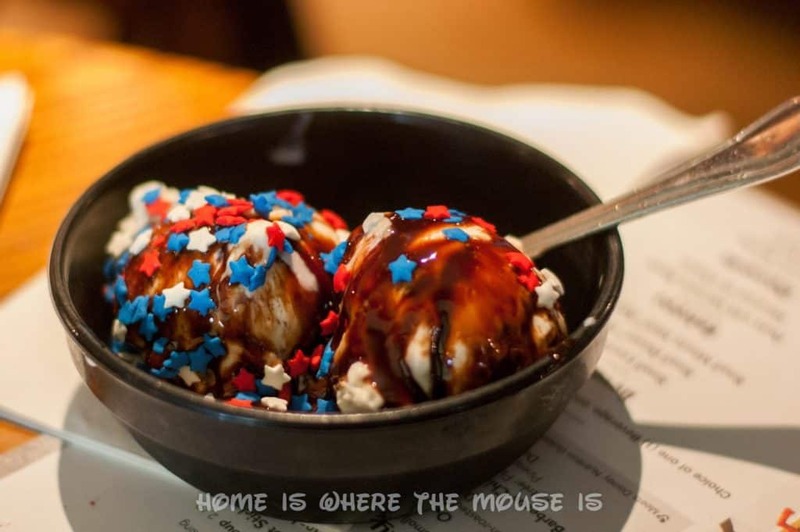 Mickey, Minnie, and friends could be seen in patriotic outfits going from table to table. 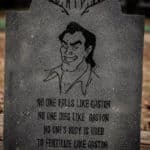 Unfortunately they no longer offer the character dining experience here. 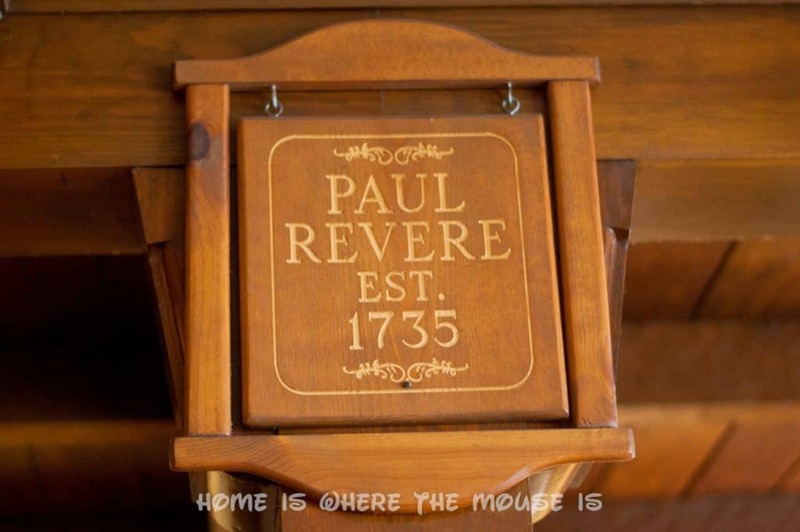 We sat in the Paul Revere Room. 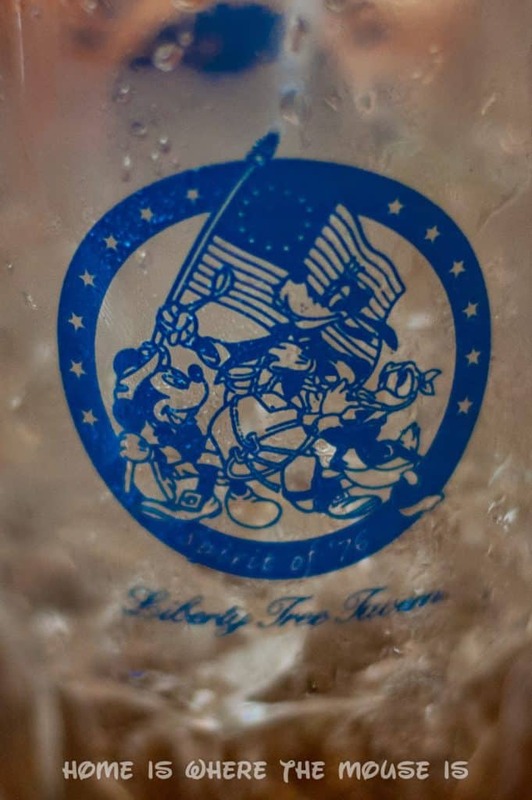 Liberty Tree Tavern features 6 rooms, each dedicated to an important person in American history. 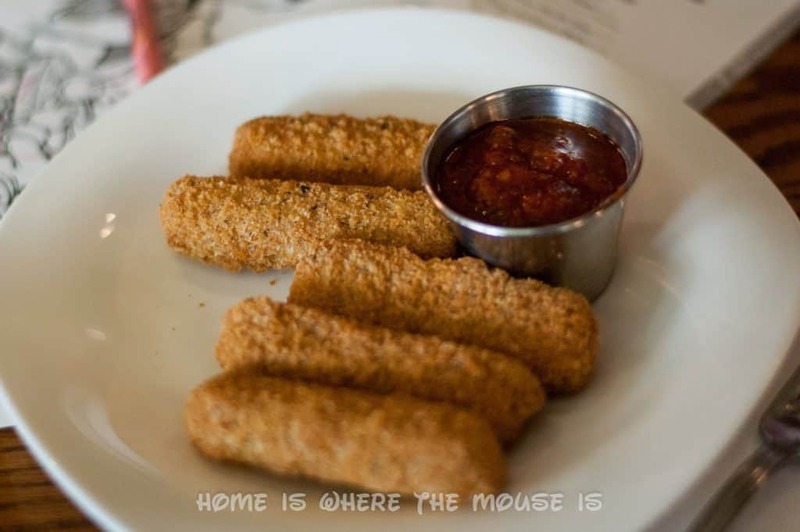 I thought the lunch at Liberty Tree Tavern was great. The atmosphere was unique and the food was fantastic. 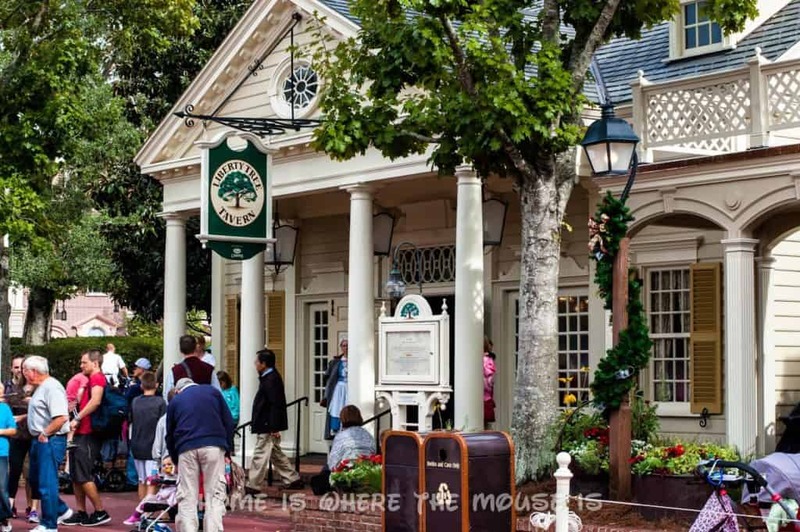 If I were at Walt Disney World Resort on Thanksgiving, Liberty Tree Tavern would top my list of places to eat a turkey dinner. 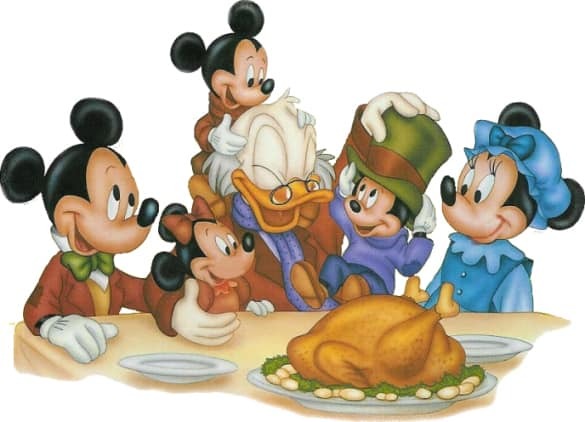 I’m sure it tops the lists of many other guests as well, so if you’re planning a Thanksgiving trip, be sure to make those ADRs right at your 180 day or 180 + 10 mark for the best chances at getting a table! 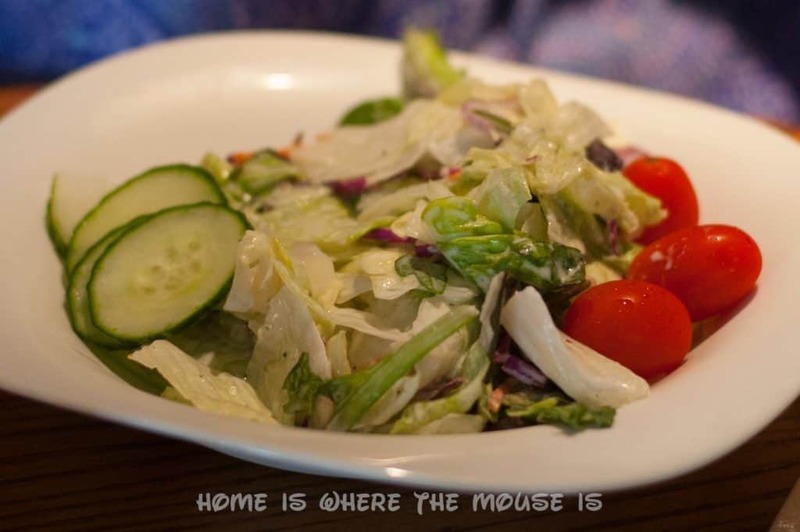 Have you ever eaten at Liberty Tree Tavern or another WDW restaurant for Thanksgiving? Let us know where and what you thought of it in the comments below!